Every company has different needs and standard time sheet apps are not sufficient. 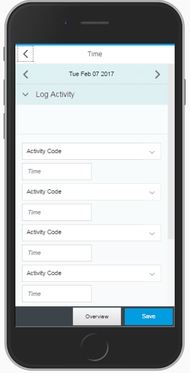 We provide time sheet apps addressing your user's needs. Below two example, the one providing a spreadsheet style layout, which support handling of 2 work weeks, with up to 40-50 projects being worked on. Running on laptop or tablet. The other a simple mobile solution for working on 4-5 projects in parallel.